This fancy Brownish Purplish Pink diamond is a beautiful 0.33 carat diamond with measurements of 4.33-4.36x2.28. 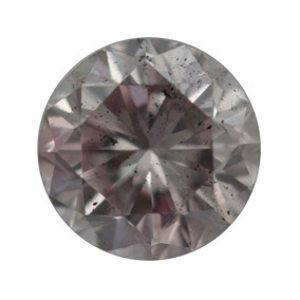 This round pink gemstone has additional tones of brown and purple to enhance its primary hue. Certified by the GIA, the round shape is appropriate for a ring that any woman would be proud to wear.